Pocket-sized and licence free, the Hytera PD365LF handheld digital radio delivers a range of sought after features in a small form factor, ideal for discreet use in retail, hospitality or education environments. 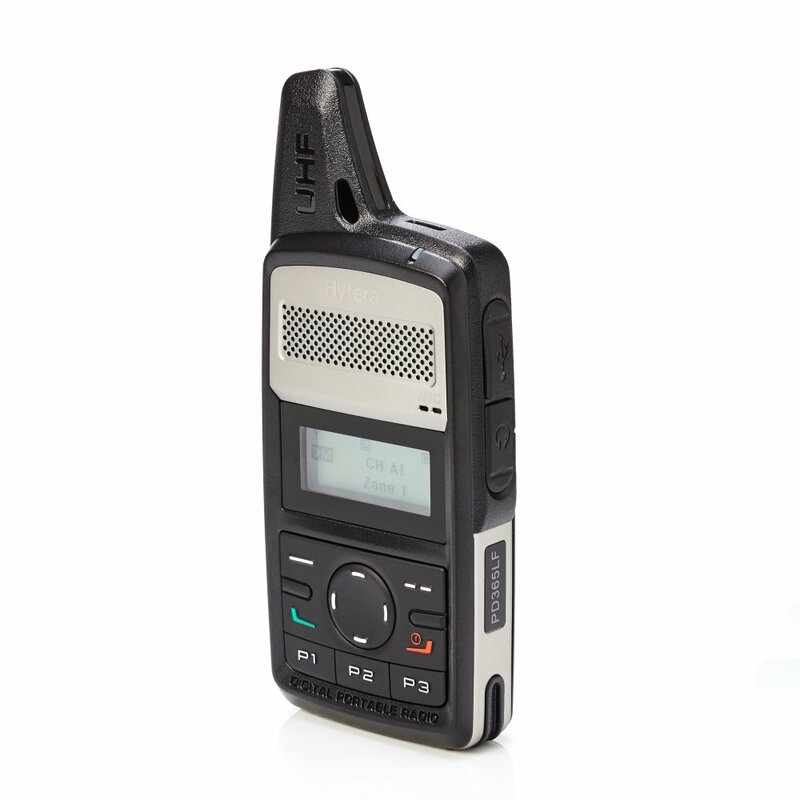 Their stylish and compact design and the intuitive operation render the PD355LF and PD365LF vital companions in everyday communication. With a weight of approx. 160g for each model, both can be carried comfortably, and even t easily inside your pocket. Radio (DMR) standard. 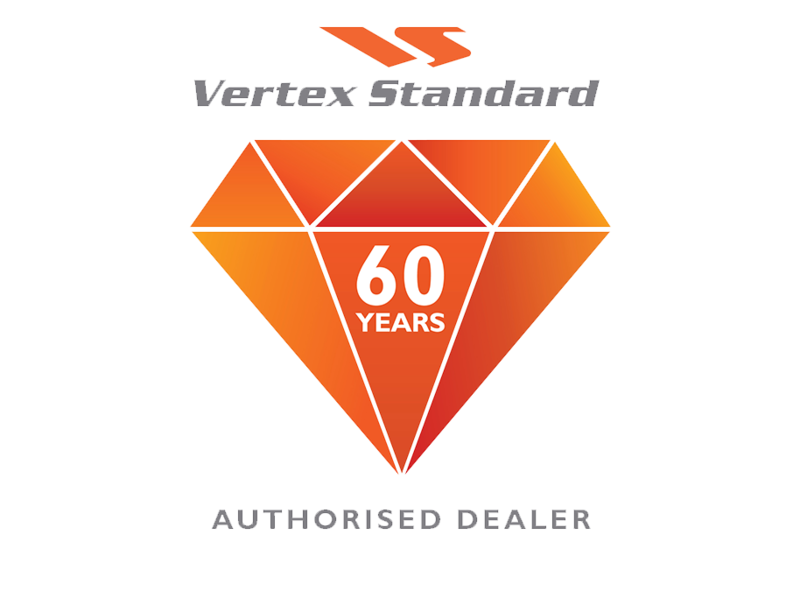 Supporting licence-free operation according to DMR Tier I, but also operating equally as well with analogue technologies and signals, to ensure a seamless migration from analogue to digital. 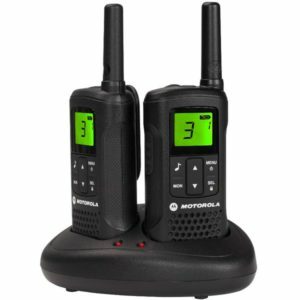 Thanks to the implemented digital technology, both radios o er 32 pre-programmed channels. Of these channels, 16 are analogue and 16 digital, divided into three zones. 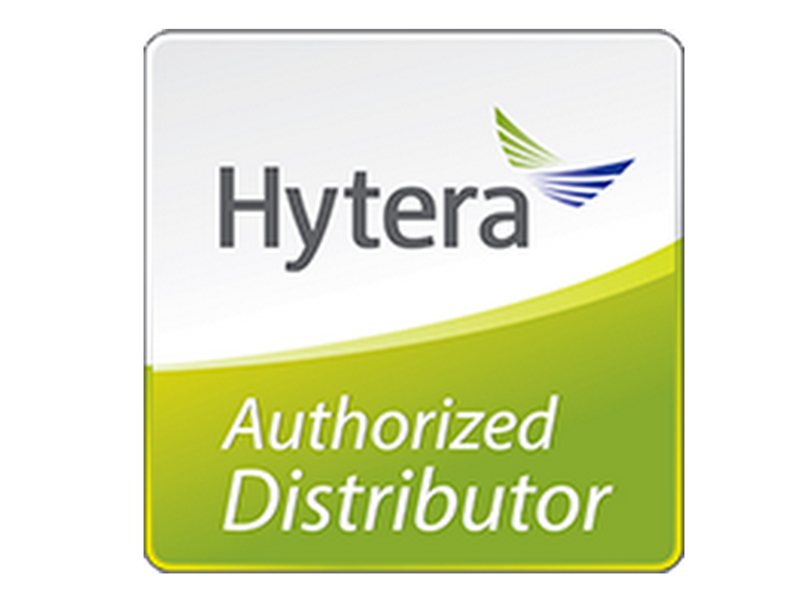 The unique integrated antenna design on both models enables excellent signal and availability, without the fuss and bulk of a large antenna. 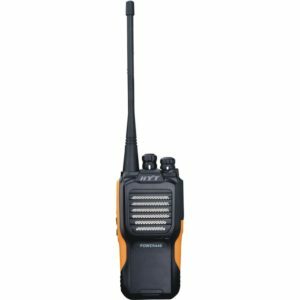 Not only do the licence-free DMR devices o er numerous fantastic features, but also a quick, uncomplicated start into digital radio life, at a fair price. 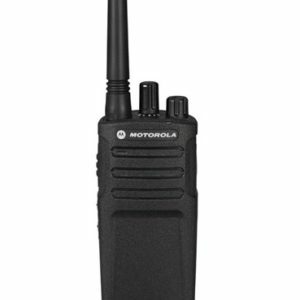 In digital mode, the supplied lithium-ion battery (2000 mAh) provides both mobile radios with an operating time of at least 12 hours, given an operating cycle of 5-5-90 (5 percent talk/send, 5 percent receive and 90 percent standby).